The Cisplatine War, also known as the Argentine-Brazilian War, was an armed conflict over an area known as Banda Oriental or the "Eastern Bank" in the 1820s between the United Provinces of the Río de la Plata and the Empire of Brazil in the aftermath of the United Provinces' independence from Spain. 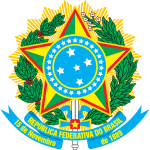 The Confederation of the Equator was a short-lived rebellion that occurred in the northeastern region of Brazil after that nation's struggle for independence from Portugal. The secessionist movement was led by wealthy landowners who opposed early reforms by the nation's first leader, Emperor Pedro I. The fight occurred in Pernambuco, Ceará and Paraíba. Operation Condor was a United States–backed campaign of political repression and state terror involving intelligence operations and assassination of opponents, officially and formally implemented in November 1975 by the right-wing dictatorships of the Southern Cone of South America. It was described by the CIA as "a cooperative effort by the intelligence/security services of several South American countries to combat terrorism and subversion." Additionally, the program, nominally intended to eradicate communist or Soviet influence and ideas, was created to suppress active or potential opposition movements against the participating governments' neoliberal economic policies, which sought to reverse the economic policies of the previous era. A military alliance is an international agreement concerning national security, when the contracting parties agree to mutual protection and support in case of a crisis that has not been identified in advance. 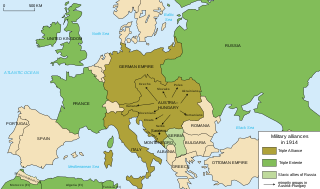 Military alliances differ from coalitions, as coalitions are formed for a crisis that are already known. Indigenous peoples in Brazil or Indigenous Brazilians, comprise a large number of distinct ethnic groups who have inhabited what is now the country of Brazil since prior to the European contact around 1500. Unlike Christopher Columbus, who thought he had reached the East Indies, the Portuguese, most notably Vasco da Gama, had already reached India via the Indian Ocean route when they reached Brazil. 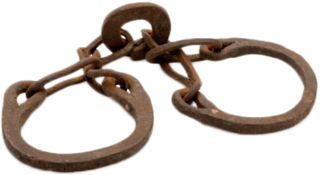 Slave rebellions were frequent until the practice of slavery was abolished in 1888. The most famous of the revolts was led by Zumbi dos Palmares. The state he established, named the Quilombo dos Palmares, was a self-sustaining republic of Maroons escaped from the Portuguese settlements in Brazil, and was "a region perhaps the size of Portugal in the hinterland of Pernambuco". At its height, Palmares had a population of over 30,000. Since Brazil and Argentina had become independent, the fight between the governments of Buenos Aires and of Rio de Janeiro for hegemony in the River Plate basin profoundly marked the diplomatic and political relations between the countries of the region. Brazil almost entered into war with Argentina twice. When attacked by Brazil, the Uruguayan Blancos asked for help from Solano López, but Paraguay did not directly come to their ally's aid. Instead, on November 12, 1864, the Paraguayan ship Tacuari captured the Brazilian ship Marquês of Olinda which had sailed up the Río Paraguay to the province of Mato Grosso. Paraguay declared war on Brazil on December 13 and on Argentina three months later, on March 18, 1865. Uruguay, already governed by Venancio Flores, aligned itself with Brazil and Argentina. At the beginning of the war, the military force of the Triple Alliance was inferior to that of Paraguay, which included more than 60,000 well-trained men – 38,000 of whom were immediately under arms – and a naval squadron of 23 vapores and five river-navigating ships, based around the gunboat the Tacuari. Its artillery included about 400 cannons. The armies of Brazil, Argentina, and Uruguay were a fraction of the total size of the Paraguayan army. Argentina had approximately 8,500 regular troops and a squadron of four vapores and one goleta. Uruguay entered the war with fewer than 2,000 men and no navy. Many of Brazil's 16,000 troops were initially located in its southern garrisons. The Brazilian advantage, though, was in its navy: 42 ships with 239 cannons and about 4,000 well trained crew. A great part of the squadron already met in the River Plate basin, where it had acted, under the Marquis of Tamandaré, in the intervention against Aguirre. In invading Corrientes, López tried to obtain the support of the powerful Argentine caudillo Justo José de Urquiza, governor of the provinces of Corrientes and Entre Ríos, and the chief federalist hostile to Mitre and to the government of Buenos Aires. But Urquiza assumed an ambiguous attitude towards the Paraguayan troops—which would advance around 200 kilometers south before ultimately ending the offensive in failure. Slavery was undermined in Brazil as slaves were freed to serve in the war. The Brazilian army became a new and expressive force in national life. It transformed itself into a strong institution that, with the war, gained tradition and internal cohesion and would take a significant role in the later development of the history of the country. The Contestado War (Portuguese : Guerra do Contestado), broadly speaking, was a land war between rebel civilians and the Brazilian state's federal police and military forces. It was fought in a region rich in wood and yerba mate that was contested by the States of Paraná, Santa Catarina and even Argentina, from October 1912 to August 1916. The war had its casus belli in the social conflicts in the region, the result of local disobediences, particularly regarding the regularization of land ownership on the part of the caboclos. The conflict was permeated by religious fanaticism expressed by the messianism and faith of the rebellious cablocos that they were engaged in a religious war; at the same time, it reflected the dissatisfaction of the population with its material situation. Francisco Solano López Carrillo was President of Paraguay from 1862 until his death in 1870. He was the eldest son of Juana Pabla Carrillo and the president Carlos Antonio López. 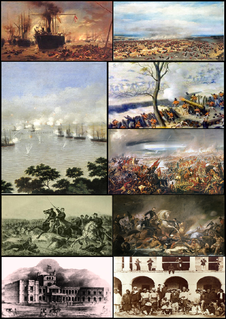 The Paraguayan War, also known as the War of the Triple Alliance and the Great War in Paraguay, was a South American war fought from 1864 to 1870, between Paraguay and the Triple Alliance of Argentina, the Empire of Brazil, and Uruguay. It was the deadliest and bloodiest inter-state war in Latin America's history. It particularly devastated Paraguay, which suffered catastrophic losses in population: almost 70% of its adult male population died, according to some counts, and it was forced to cede territory to Argentina and Brazil. According to some estimates, Paraguay's pre-war population of 525,000 was reduced to 221,000, of which only 28,000 were men. The Battle of Curupayty was a key battle in the Paraguayan War. On the morning of September 22, 1866, the joint force of Brazilian, Argentine, and Uruguayan armies attacked Paraguayan fortified trenches on Curupaity. The Paraguayans were led by General José E. Díaz. This position was held by 5,000 men and 49 cannons, some of them in hidden places out of the attackers view. The Brazilian Navy gave support to the 20,000 assailants, but the ships had to keep some distance from the guns at the fortress of Humaitá, which led to the lack of accuracy and impact of the ship's fire. The navy's failure was crucial at the later ground battle result. In the Paraguayan War, the Battle of Yatai was fought on August 17, 1865 between the troops of the Triple Alliance and the soldiers of Paraguay near Paso de los Libres, Corrientes, Argentina. Luís Alves de Lima e Silva, Duke of Caxias, nicknamed "the Peacemaker" and "Iron Duke", was an army officer, politician and monarchist of the Empire of Brazil. Like his father and uncles, Caxias pursued a military career. In 1823 he fought as a young officer in the Brazilian War for Independence against Portugal, then spent three years in Brazil's southernmost province, Cisplatina, as the government unsuccessfully resisted that province's secession in the Cisplatine War. Though his own father and uncles renounced Emperor Dom Pedro I during the protests of 1831, Caxias remained loyal. Pedro I abdicated in favor of his young son Dom Pedro II, whom Caxias instructed in swordsmanship and horsemanship and eventually befriended. Ricardo Ramón López Jordán (1822–1889) was an Argentine soldier and politician, one of the last influential "caudillos" in the history of Argentina. He thrice rebelled against the government of Buenos Aires and was defeated in each attempt. Manuel Marques de Sousa, Count of Porto Alegre, nicknamed "the Gloved Centaur", was an army officer, politician, abolitionist and monarchist of the Empire of Brazil. Born into a wealthy family of military background, Manuel Marques de Sousa joined the Portuguese Army in Brazil in 1817 when he was little more than a child. His military initiation occurred in the conquest of the Banda Oriental, which was annexed and became the southernmost Brazilian province of Cisplatina in 1821. For most of the 1820s, he was embroiled in the Brazilian effort to keep Cisplatina as part of its territory: first during the struggle for Brazilian independence and then in the Cisplatine War. It would ultimately prove a futile attempt, as Cisplatina successfully separated from Brazil to become the independent nation of Uruguay in 1828. Manuel Luís Osório, Marquis of Erval was a Brazilian military officer, monarchist and politician. Member of the Imperial Army at the age of fifteen, he climbed all the posts of the military hierrchy of his time, thanks to the soldier attributes that consecrated him as "The Legendary." Participated in the main military events of the late nineteenth century, being hero of the War of the Triple Alliance. He is the patron of the Cavalry Branch of the Brazilian Army (1962). The Siege of Humaitá was a prolonged operation of encirclement that occurred at the Fortress of Humaitá, on the Paraguay River. Humaitá was surrounded by land on 2 November 1867, by water on 19 February 1868, and surrendered on 25 July 1868. The Battle of Avaí was one of the last major combats of the Paraguayan War, fought by the stream of the same name in Paraguayan territory in December 1868 during the Paraguayan War, between the forces the Triple Alliance and the Paraguay. The Siege of Uruguaiana was an engagement in the Paraguayan War that began in late August 1865, and ended on 18 September that year when the Paraguayans were forced to surrender due to low food supplies. Paraguayan forces surrendered in spite of President López's order to the Paraguayan commander, Colonel Estigarribia, not to do so. After the allied victory at Uruguaiana, Lopéz withdrew his army from Argentina and Brazil. Joaquim José Inácio, Viscount of Inhaúma, was a naval officer, politician and monarchist of the Empire of Brazil. 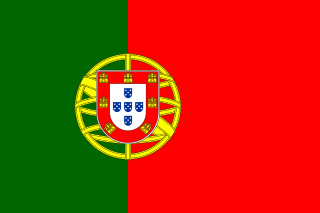 He was born in the Kingdom of Portugal, and his family moved to Brazil two years later. After Brazilian independence in 1822, Inhaúma enlisted in the Brazilian navy. Early in his career during the latter half of the 1820s, he participated in the subduing of secessionist rebellions: first the Confederation of the Equator, and then the Cisplatine War, which precipitated a long international armed conflict with the United Provinces of the River Plate. The Battle of Pehuajó, also known as Battle of Corrales or Battle of Itati was fought during the Paraguayan War in January 31, 1866. The Fortress of Humaitá (1854–68), known metaphorically as the Gibraltar of South America, was a Paraguayan military installation near the mouth of the River Paraguay. A strategic site without equal in the region, "a fortress the likes of which had never been seen in South America", it was "the key to Paraguay and the upper rivers". It played a crucial role in the deadliest conflict in the continent's history — the Paraguayan War — of which it was the principal theatre of operations. The Passage of Humaitá was an operation of riverine warfare during the Paraguayan War − the most lethal in South American history − in which a force of six Brazilian Navy armoured vessels was ordered to dash past under the guns of the Paraguayan fortress of Humaitá. Some competent neutral observers had considered that the feat was very nearly impossible.